Season’s Greetings from the world of Wulfgard! Everyone have a merry Christmas, happy holidays, and a great new year! 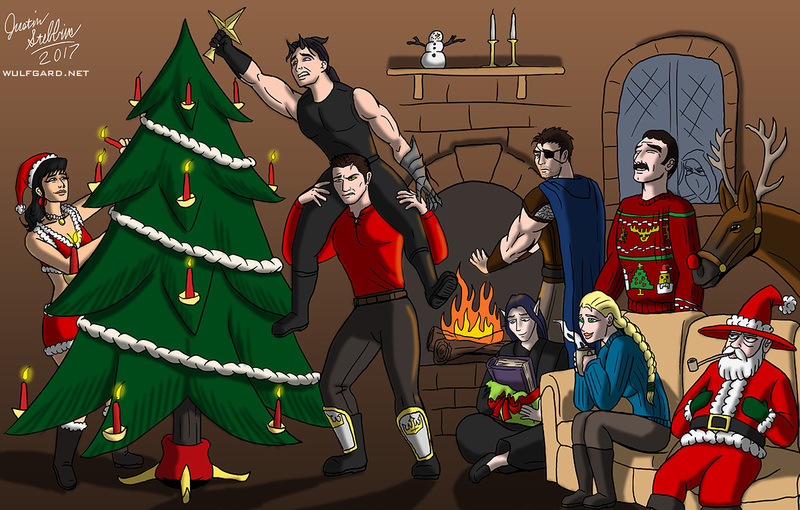 I drew this picture for my sister, who wanted some art of all her main Wulfgard characters celebrating the holidays. Enjoy!